People ditch their old phones for an iPhone, and perhaps you are among the same category of people. The bunch needs to import contacts from the older phone’s SIM card to iPhone. 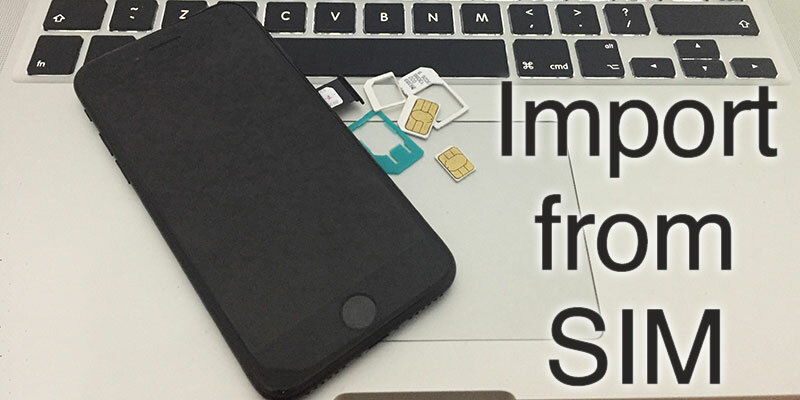 Apart from the basic migration, another case could be for importing SIM card contacts if there were old SIM cards lying around that had some contacts and you’d like to see them on your iPhone. 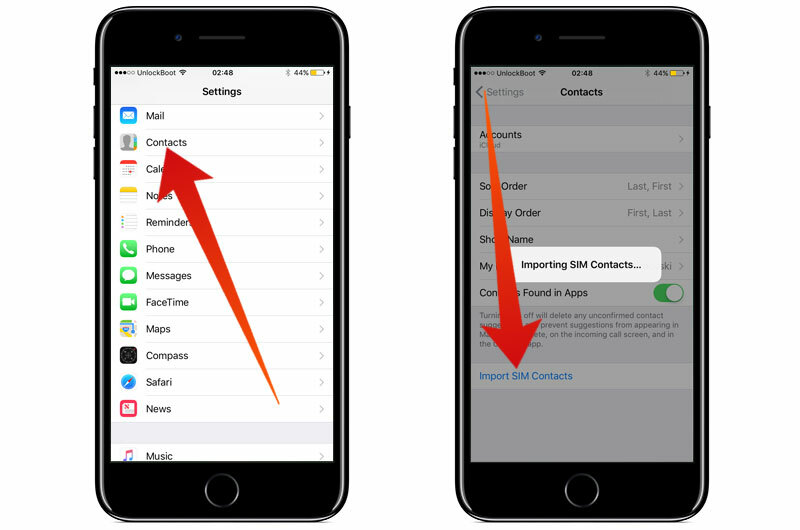 Follow our guide below to quickly import contacts from SIM to iPhone. Whatever the reason, you just have to place the other SIM card into iPhone and then utilize the iOS feature to import contacts from SIM to iPhone. Step 1: Put the old SIM that has the contact information inside your iPhone. Remember, a new SIM card may be needed from your carrier, or you might have to go the electronics store to get it resized. Step 2: On your iPhone, open the Settings application. Step 3: Then, head over to “Contacts” option. If you’re using an older version of iOS on your iDevice, this can be labeled as “Mail, Contacts, Calendars”. Step 4: Scroll down until you see “Import SIM Contacts” – select it. Step 5: Wait some time for the contact info to be taken from old SIM card and transferred to the iPhone. Step 6: Reinsert the usual SIM card into your iPhone (if eligible). If your SIM card contains a lot of information, it might take a while for all the contacts to appear on your iPhone. Also, if any contacts name matches with the existing contact names on your iPhone, they may or may not be overwritten. If you are moving from Android to iPhone, you can easily sync your contacts using your Google account. This feature will help you to import contacts from SIM to iPhone easily and quickly. First, you need to enable this option on your Android device by going to Settings -> Accounts & Sync -> tap on your Google account and tap Sync Contacts. After that, you will need to sign in with the same account on your iPhone and enable the contacts option. The contacts will be synchronized in just a few minutes. If you want to copy your contacts from your iPhone to your SIM card, you can do that only on your jailbroken device. 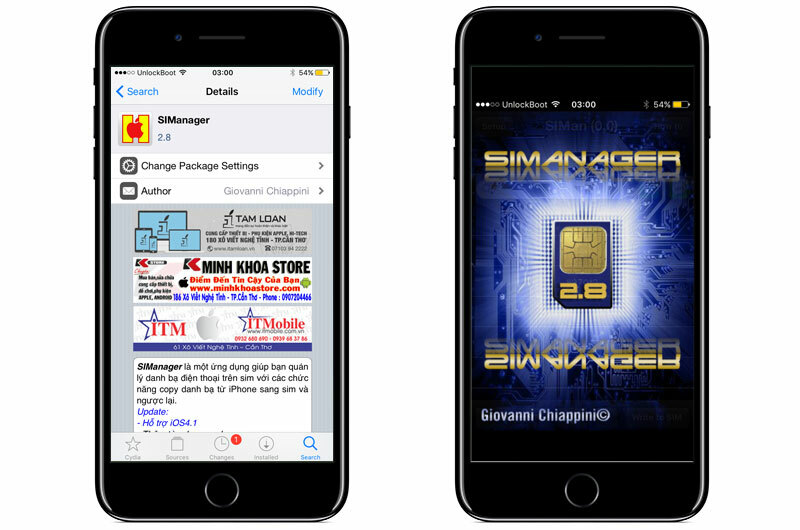 You can easily copy your contacts to the sim card using a jailbreak app called SIManager. You can easily install this app from Cydia on your jailbroken device from the iSpazio repo source. Follow our step-by-step tutorial to jailbreak your device running iOS 10.2 using Yalu. To export your contacts from your iPhone to your SIM, just start the SIManager app, tap on the Settings icon then tap “Copy iPhone to SIM”. Now you r contacts will be transferred to your sim card. Note: The SIManager app can be used only on certain devices, because it’s not updated for the latest iOS version. 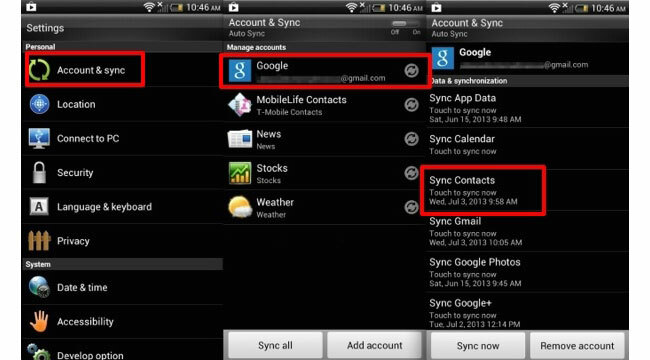 As an alternative way, you can sync your contacts from your iPhone to an Android device using Gmail or by importing your backup, then just put your sim in the device and copy your contacts to the SIM card. If you own a non-jailbroken device or you are running iOS 11 or iOS 10 – then you can use the iCloud export feature to export your contacts to your Computer. Use this guide to import contacts from SIM to iPhone and keep in touch with everyone.